King Mwanga of the Baganda in Uganda was a cruel and capricious ruler. One of his first acts, after becoming king at the age of eighteen, was to order the murder of James Hannington, the newly appointed Anglican bishop. The Christian missionaries, he believed, were the advance guard of encroaching European powers; they were tempting his people to abandon their traditional ways and thus posed a threat to his own rule. What is more, they also reproached him for demanding sexual favors from the young men who served as his pages. In May 1886 Mwanga summoned all his pages and ordered the Christians among them to step forward. Fifteen of them approached, including the eldest, twenty-four-year-old catechist Charles Lwanga, as well as the youngest, a boy of thirteen whom Charles had baptized only the night before. After declaring that they were Christians and intended to remain so, the king ordered them put to death. Reports of these deaths, and many more in succeeding weeks, spread quickly, resulting in many conversions. The martyrs were canonized in 1964 by Pope Paul VI, who made a pilgrimage to their shrine. Marie Guyart Martin, fourth child in a family of seven children, was born in Tours, France. When very young, she had a dream that moved her profoundly. I was about seven years old, she wrote. 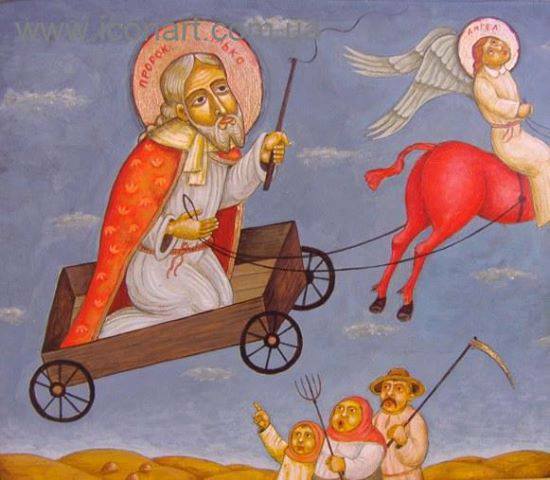 In my sleep one night, it seemed to me that I was in a schoolyard… Suddenly the skies opened, and Our Lord emerged, advancing toward me! When Jesus neared me, I stretched out my arms to embrace Him. Jesus embraced me affectionately and asked me: Do you want to belong to Me?’ I answered, Yes.’ She was unceasingly to repeat that yes, the key to her entire life, amid joys and afflictions. When Mary was eighteen, her parents believed she was ready to get married. She obeyed and married Claude Martin, a master silk worker. In 1619 she gave birth to a son, who was one day to become Dom Claude Martin. Six months later, the Lord marked her with the seal of His predilection: she was visited by the cross of widowhood, with all its trials. Mary of the Incarnation felt strongly attracted to the religious life, be she realized that God’s hour had not yet struck. Several very difficult years ensued. Having found employment in her sister’s house, she became the slave of the servants of the household. In this harsh situation, our Saint practiced the virtues of humility, charity, patience and total self-forgetfulness to the point of heroism. She remained constantly in the holy presence of God, even amid the most absorbing occupations. At the age of twenty-one, though still in the lay state, she made the vows of poverty, chastity and obedience. In 1625, God gratified her with a vision of the Holy Trinity. When Madame Martin was thirty-one, the call of God to leave everything echoed imperiously in her soul. On January 25, 1631, she bid farewell to her elderly father, and overcoming the pangs of her maternal heart, she entrusted her eleven-year-old son to her sister’s care. This absolute detachment, which makes her a model for parents, was one of the most heroic and sublime acts in the life of Saint Mary of the Incarnation. The courageous mother told her child, God wills it, my son. If we love Him, we should will it, too. It is up to Him to command, and up to us to obey. With a broken heart, she was finally able to enter the Ursuline Novitiate in Tours. Eight years later, when she had reached the age of forty, Mary of the Incarnation embarked at Dieppe with some companions on a ship headed for Canada. 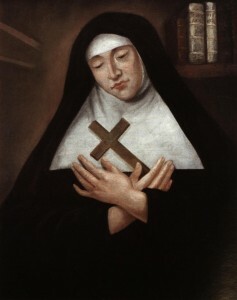 She is among the very first nuns to have come to America. At the time, such a missionary adventure was regarded as an innovation. There was no room for anything less than heroism for these pioneers of the Church of New France, who united the cloistered life to the missionary life. Mary of the Incarnation wrote, Here we encounter a kind of necessity to become saints. We must either die or fully consent to it. She studied the extremely difficult Indian languages and wrote an Algonquin-French dictionary, as well as an Iroquois dictionary and catechism. Her work of predilection consisted in teaching little Indian girls, whom she called the delight of my heart and the most beautiful jewels in my crown. Sickness, humiliation and persecution arising from respectable persons, endless interior sufferings and crosses of all sorts abound in the life of our Saint. They bear a striking testimony to the spirit of holiness that reigned in her soul, which was totally surrendered to the love of God. The highest summits of contemplation to which the Holy Spirit drew her did not prevent Mary of the Incarnation from being an extraordinary woman of action, gifted with incomparable common sense. She gave up her beautiful soul to God at the age of 72. As a result of the successive vocations to which God called her, this admirable soul remains a model for spouses, parents, lay apostles and religious alike. Mary of the Incarnation has very rightly been named the Teresa of New France. She is ranked among the greatest glories of Canada and regarded as the true Mother of the country. Saint Apollinare of Ravenna was a third century saint from Antioch who was the first bishop and saint of Ravenna. It is recorded that his martyrdom happened on 23 July but the Church’s liturgical memorial is July 20. 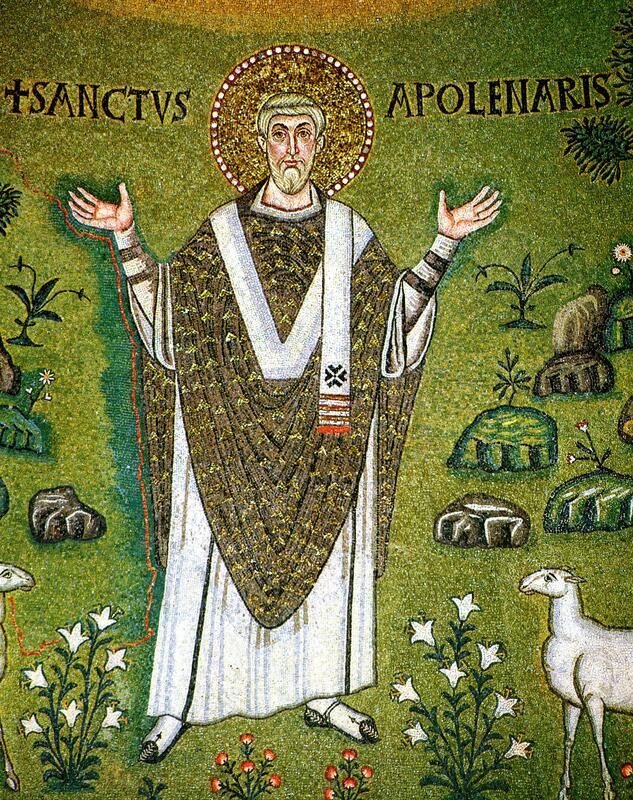 Saint Apollinare was originally from Antioch (where the followers of Jesus Christ were first called Christians according to the Acts), was ordained bishop by Saint Peter and believed to be a disciple of his since AD 44. The tradition holds that Apollinare travelled with Peter from Antioch to Rome. 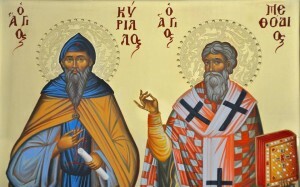 Recall that Peter was the bishop of Antioch before this move. Saint Peter Chrysologus (425-451), a renown doctor of the Church, cites Saint Apollinare in his sermon 128, giving some historical information on Apollinare: he was the first bishop of Ravenna; because of his faith, he suffered many torments and shed his blood, dying from wounds received.